The rapid and continuing development of the Chinese economy and its markets has made business with China an integral component of the strategies of countless foreign companies, regardless of their size or form. 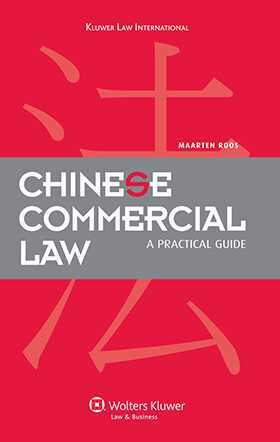 However, in order to turn opportunities into successful enterprises, managers need a practical guide on the legal aspects of conducting business in China, and on the strategies for effectively circumventing unnecessary risks while simultaneously using the legal system to strengthen operations and protect interests. This remarkable book provides the necessary insight and guidance to devise a corporate strategy, and to tackle issues relating to common aspects of doing business with Chinese counterparts, investing in a Chinese enterprise, and engaging in business operations there. • avoiding criminal liabilities in the course of doing business. Whether seeking to source from China or to establish manufacturing facilities in China to produce for export, to sell products or services on the domestic market, or even just to act as a conduit between China and the outside world, business managers and their counsel from all over the globe and across all industries will benefit enormously from this deeply informed, insightful, and practical guide. List of Tables. Abbreviations. Acknowledgments. Introduction. Part I. Business with China. 1. Commercial Contracts. 2. Dispute Resolution. 3. Trade and Distribution. 4. Establishing IP Rights. 5. IP Enforcement. Part II. Investing in China. 6. Foreign Direct Investment. 7. Joint Ventures. 8. Mergers and Acquisitions. 9. Exit Strategies. Part III. Operating a Business in China. 10. Corporate Governance. 11. Employment. 12. Financing. 13. Taxation. 14. Criminal Justice. Epilogue. List of Laws.